February 5, 2019 Witcher author Andrezj Sapkowski has reportedly settled with CD Projekt Red over a request for extra royalties. According to Gamestar.de, Polish news site Puls Biznesu (full article behind a paywall) reported that the author has settled with the developer, but not for the full 60 million Zloty sum that was initially requested. We’ve reached out to CD Projekt Red to confirm these reports, and we’ll update this article when we have more information. Sapkowski’s initial request was made in October. Last year, CD Projekt Red issued a statement saying that it had “received an official demand for payment filed by plenipotentiaries of Mr Andrezj Sapkowski.” The author expects royalties in addition to the deal he made to sell the rights to his novel series – he published eight books between 1992 and 2013 – to the developer in the early 2000s. An English translation of a letter from Sapkowski’s lawyers claims that “the compensation remitted to the author is too low given the benefits obtained in association with the use of that author’s work.” Assuming a typical royalty rate of “approximately 5-15% of the profits generated”, Sapkowski’s lawyers are asking for 6% “of the profits obtained” from CDPR’s use of The Witcher. Based on a report from CDPR, Sapkowski’s lawyers estimate these profits are at least one billion Polish Zlotys, thus arriving at that 60,000,000 Zloty figure. The legal basis for this rests largely on Article 44 of Poland’s Act on Copyright and Related Rights, which occurs in the event of gross discrepancy between an author’s remuneration and the benefits accrued by the licensee. Sapkowski’s lawyers say that’s what’s happened with The Witcher: “one might even say – egregiously so”, in their words. It would be for a judge to determine whether this applies, but it’s important to note that Sapkowski isn’t suing for breach of contract or anything similar. This appears to cast aspersions on whether CDPR ever actually acquired copyright to the Witcher IP, and suggests that if it did so, it applies only to the first game, which came out in 2007. That would mean that both 2011’s The Witcher 2 and 2015’s The Witcher 3 (as well as the latter’s expansions) were “simply speaking, unlawful”. Sapkowski admitted in a Eurogamer interview last year that he did agree that CD Projekt Red could make a Witcher game, and that the company offered him “a big bag of money,” to allow them to work with the IP. He says that he was initially offered royalties, but opted for a higher fee because he didn’t believe in, and couldn’t foresee, the games’ success. 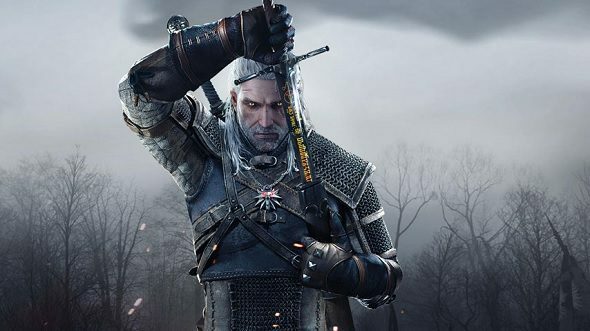 In a statement issued in response, CDPR says that “in the Company’s opinion the demands expressed in the notice are groundless with regard to their merit as well as the stipulated amount.” The developer claims that it “had legitmately and legally acquired copyright” to multiple games within Sapkowski’s IP, that “all liabilities payable by the Company therewith have been properly discharged,” and that the series is the company’s own creation. You can read an English translation of CD Projekt Red’s statement here (including a translation of the letter from Sapkowski’s lawyers). Given that CDPR isn’t budging, the case might now proceed to the courts, where it’s likely a judge will rule on Article 44. We’ve reached out to CD Projekt Red for further comment on this story, and will update as and when we learn more.